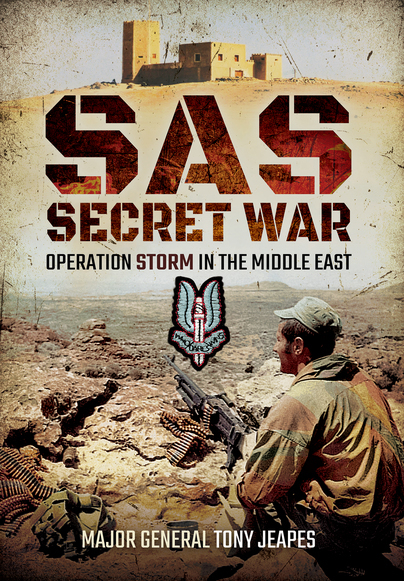 You'll be £6.00 closer to your next £10.00 credit when you purchase SAS: Secret War. What's this? In 1970 the SAS was called in to support the Sultan of Oman’s armed forces in their bitter struggle against a Communist-backed insurrection. The task in hand was not to obliterate the enemy, for these were the Sultan’s subjects, but to persuade the rebels to join the Omani government’s side, as well as encouraging the independently-minded peoples of the Jebel Dhofar to abandon their support for the insurgents. If necessary, these objectives were to be achieved by demonstrating that the insurgents could never win the armed struggle. This is the gripping story of the part played in the conflict by the men and squadrons of the 22nd Special Air Service Regiment, the first full SAS squadron in the region. Written by the man who commanded that unit and who successfully raised the first bands of Dhofari irregulars to fight for the Sultan, SAS: Secret War provides a unique and personal insight into what was to become one of the most successful counter-insurgency campaigns of the twentieth century. A great book recommended if you have not read about this secret war before. instructive addition to their library. General Tony Jeapes joined the SAS in 1958 and continued to serve with them for the next nineteen years. He later became an instructor specializing in teaching counter-insurgency tactics and from 1974 to 1977 he went on to command 22nd SAS Regiment, during which time they were involved in active service both in Oman and Northern Ireland. General Jeapes was awarded the Military Cross in 1959 and made an OBE in 1977.